The end is nigh for the PlayStation Vita. Sony has revealed that it is calling time on the production of physical PS Vita game cards, marking a significant end-of-life milestone in the console's lifespan. In a message leaked to Kotaku, and later confirmed by Sony representatives, it's stated that Sony's American and European arms "plan to end all Vita GameCard production by close of fiscal year 2018." Developers must submit final code by June 28 of this year, and purchase orders by February 15 next year, just a few weeks before the 31 March 2019 financial year cut off point for Sony. 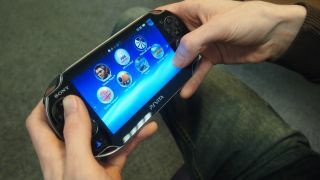 The Vita hit the scene in 2012 to much fanfare, promising console gaming on the go. And though a powerful device with a lovely screen, it struggled to get a foothold following the rise of smartphone gaming and the then-unexpected resurgence of the Nintendo 3DS. Pair that with proprietary, prohibitively expensive memory cards and a lack of first-party support, and within a couple of years the Vita's decline seemed terminally inevitable. It maintains a strong following, especially in Japan, where its niche was found among the RPG community, and its second screen abilities with the PS4 still impress. Its indie game library remains a joy to explore, as does its wide ranging access to PS1 games. But with the Nintendo Switch now dominating the handheld space as a hybrid, the sun is setting on the PS Vita. PlayStation Vita review: is it still worth picking up a Vita?